It's remote - Pitcairn, the nearest, inhabited island, with around fifty residents, is over 1,000 miles away. It's home to one of the strangest archaeological finds - Moa, giant stone cut heads with a disproportionately small body. Moai raise more questions than answers, more fiction than fact. There are better sources of information available - this is just a quick recap of the information obtained during my tours. that the original islanders arrived from Polynesia in the West, not South American in the East. At least Heyerdahl was able to keep his academy award. There is some evidence that suggest islanders traveled onward to South America, due to a commonality between birds and chickens that are also appear on the continent. It's undetermined when the original natives arrived on the northern beach of Anakena although the best estimate places the date around 2,500 BC. After months on the sea together those that arrived safely scattered across and divided the island among several tribes. Moai started to appear around 600-900. 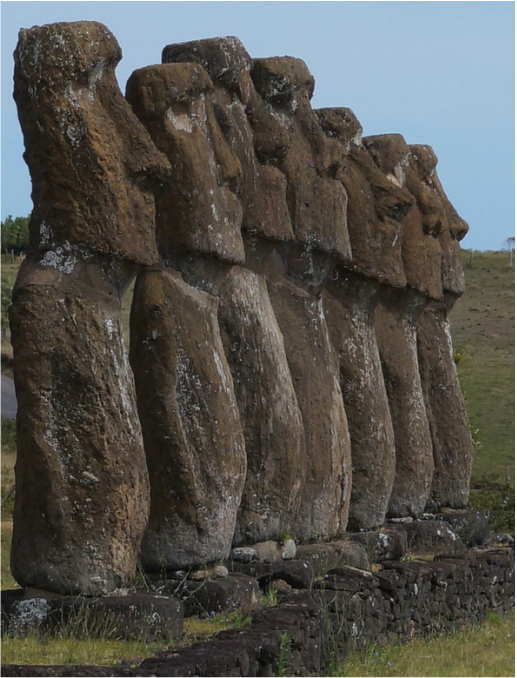 Construction started small and the original moai appeared more humanlike - rounder faces, more proportional bodies . The statues were used as a tombstone to channel ancestors in the afterlife. Overtime, beginning around 1200, the carvings became larger and focused on a more elaborate face and head. Construction was a full time occupation with craftsmen spending most of the day at a quarry site - there was only one place on the island, Rano Raraku, where all the Maoi were carved. The photo below illustrates the process of carving the Moai from the mountain. Can You Spot the Moai in the Rock? 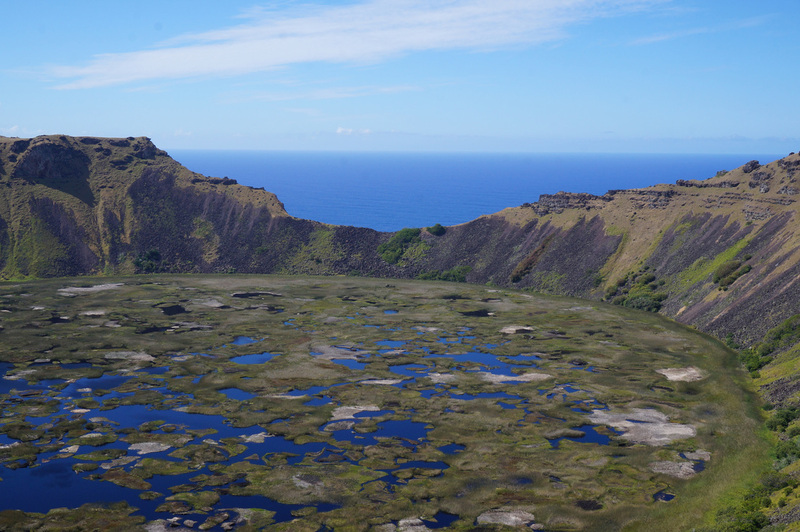 Rano Raraku is the most mystical place on the island. 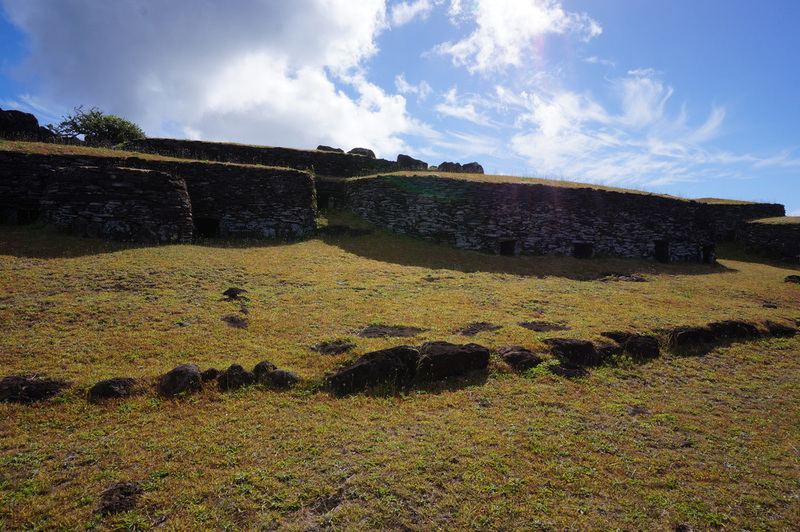 Hundreds of Maoi are scattered throughout the site - many have just their heads sticking out of the ground, while several others haven't been fully carved out of the mountain. 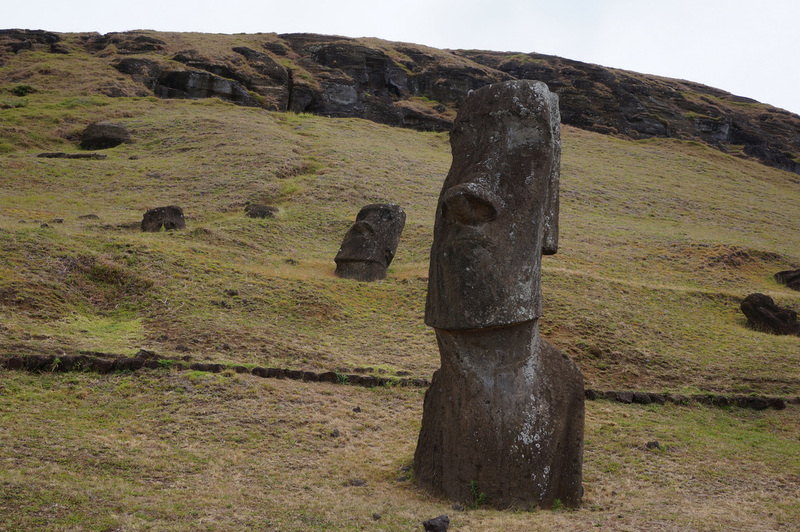 Certain Maoi were placed in the ground to complete the final facial features. The partially exposed and incomplete sculptures reflect sudden changes on the island. Once completed the Moai were rolled on logs (the common belief although few trees exist on the island) to their final destination near the ocean. A stone lever system raised the Moai into a standing position. The statues faced inward, with their backs to the ocean, because the ocean represented the afterlife. 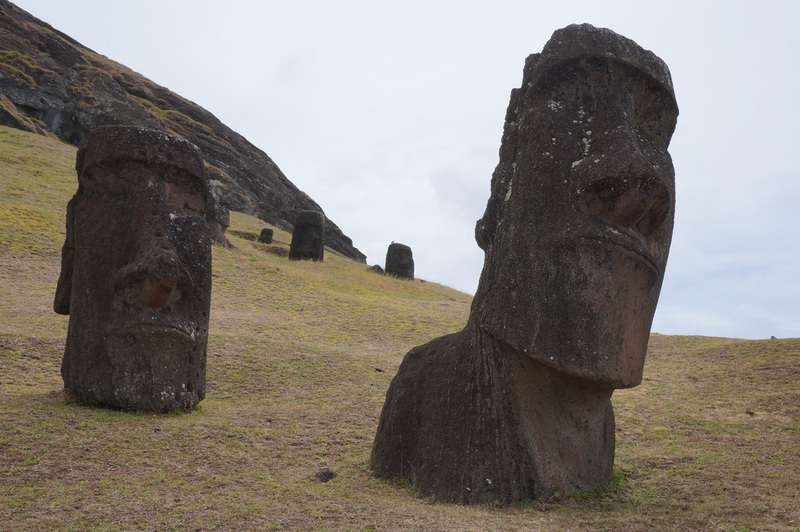 A separate quarry was used to create the pukao or "top knot" that appear on the head of later Maoi statues. The reddish top knot looks like a hat but actually represents the islanders' red dye, bun hair style. At some point during the 1700 and 1800s the island's population reached approximately 20,000 residents. All trees had been cut down, thus no fishing canoes could be built. The waters immediately around the island became over fished. Records show a decline in birds and crop yields. The island reached a tipping point in which the population could no longer be sustained. Chaos ensued. Tribes clashed. The Moai, which were thought to give a tribe power, were toppled to weaken opponents. When the Spanish arrived in 1862 they completed the destructive process. Natives were enslaved, converted to Christianity, and gradual lost their cultural identify. Tribes toppled the remaining Moai believing their ancestors' abandonment was complete. 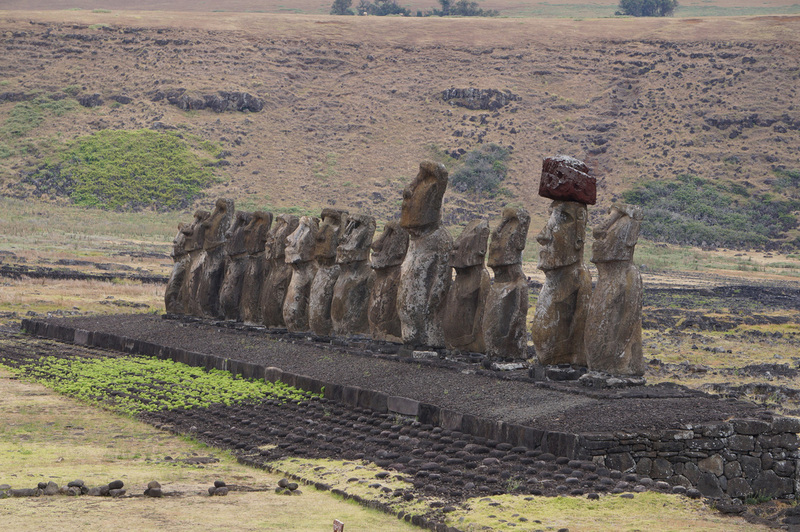 A drive around the island shows that many Moai are standing on the Ahu platform as they did hundreds of years ago. Researchers used information to attempt and reconstruct the Moai as the once appeared. It certainly makes for a more dramatic photograph. 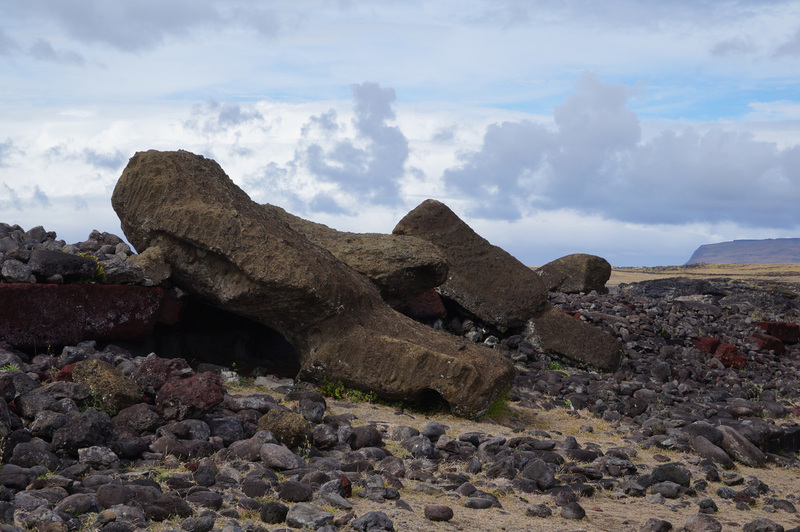 There are also sites which show the Moai toppled. Tongariki is the site with the most standing Moai. A giant tidal wave scattered the Moai across the surrounding area. A donation from the Japanese was used to gather and reassemble Tongariki as it once appeared. There was a brief period (less than 100 years) in which the islanders started a new "religion" centered around a Birdman who would rule the island. On an annual basis men gathered at Orongo on the Southwest side of the island and swam to an island a mile away. The first person to find an egg became ruled over the other tribes for the next year. It's believe this competition helped to reduce hostility between the tribes and was a fairer way to select a ruler. For winning the event the new leader was entitled to tributes from other tribes. With a new leader every year the tributes increased along with revenge and hostility. When the Spanish arrived this hostility and division made the conversion to Catholicism much easier to sell. Currently the island has around 6,000 inhabitants, approximately half of which have native lineage. The islanders rely heavily on support from Chile for basic things such as food supplies and trash removal. The island has one of the largest runways in the world because it's an emergency landing site for NASA spaceships. The island remains rugged and barren. 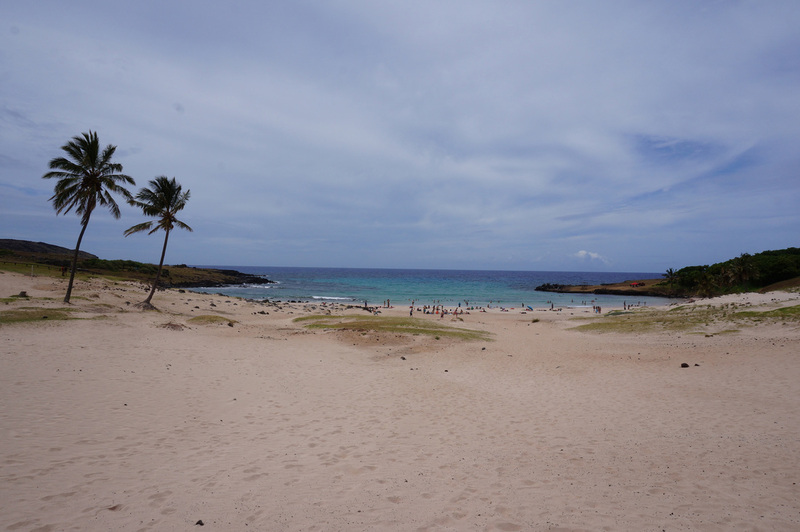 Anakena Beach is the only area to sit back and enjoy the sun and blue green ocean waters. The town of Hanga Roa provides enough accommodation and various dining options for a two or three day visit. A visit, despite the island's remoteness, is relatively easy. There are several flights a week from Santiago - either purchase a round-trip ticket or one-way and continue on to Tahiti, the only other country with direct flights. Seeing the Moai requires renting a four wheel drive vehicle or bicycle or joining a tour. 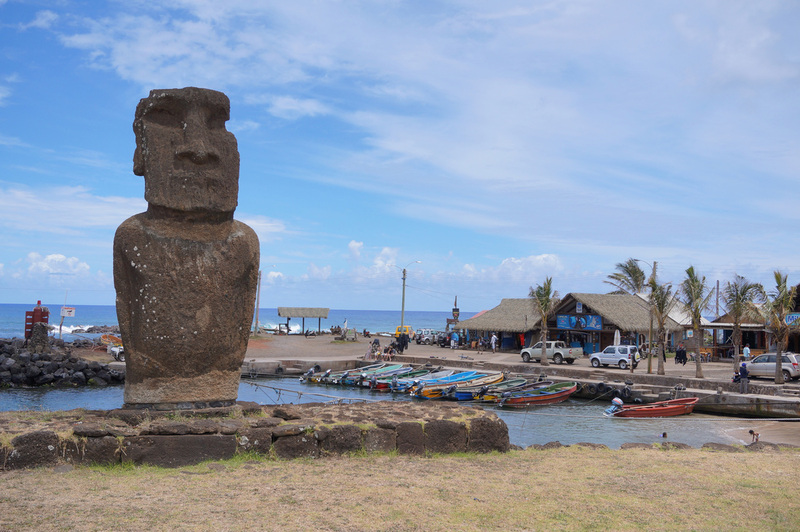 The tour has the benefit of taking you to the better sites, explaining the background of the Moai, and also the greater history of the island. 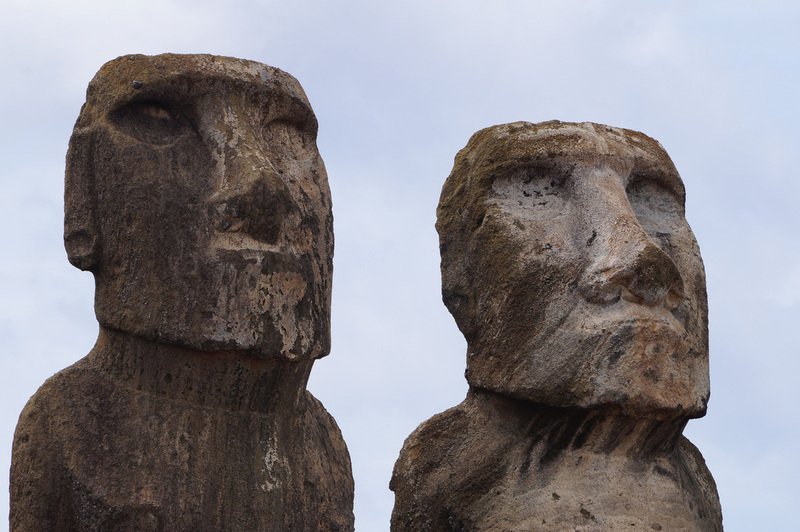 Unfortunately you may not visit the Moai with ideal sun conditions making it difficult to take photographs. 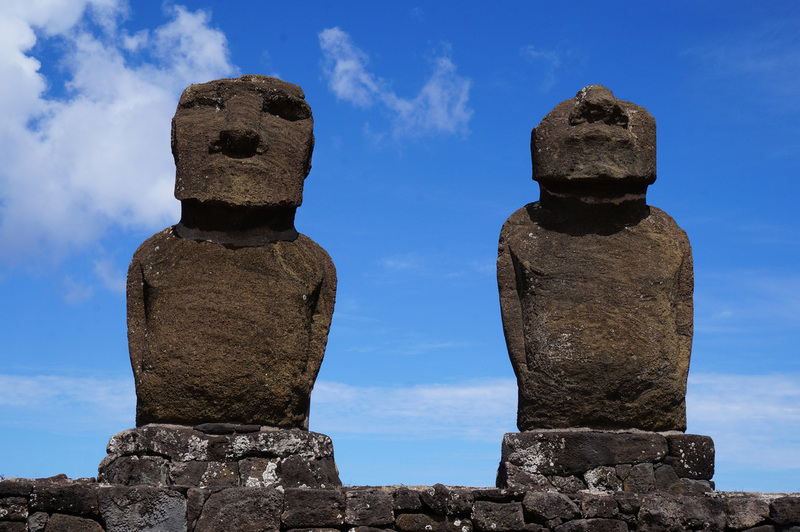 If you've read up on the Moai before your visit and your main objective is the perfect Moai picture renting a car would give you much more flexibility. You can also ride bikes - while the distances aren't far the island is a little hillier than I expected given it's such a small land area. There are several tour companies offering the same services - when deciding it really comes down to which one is offering an English guide on the day you want to visit the sites. I used Kia Koe Tours - the first full day after I arrived I took the full day tour; the second day I did the half day Orongo in the morning and half day Akivi in the afternoon. I was the only native English speaker on the tour had a guide for myself. There's not much to Easter Island. While it is an island most of the coastline is jagged rock and the only beach is on the far side away from all the hotel accommodations. There's not too much tourist infrastructure which is reflected in the limited hotel and restaurant options. Despite these limits hotel prices are fairly reasonable - there's no hostels but you can find one bedroom's in the $50/night range. There are a few higher end, resort-style, hotels as well. The restaurants can be a little pricier so if you are going to pay the slightly higher rates you may as well order local seafood and drink some Tahitian Beer at a place that has a view. There's a few restaurants clusters around the Hanga Roa pier area and another strip down the main road. I ate dinner twice at a place called Tataku Vave which was situated above a jagged rock beach south of the main commercial area. One thing I didn't do was climb to the highest point on the island. On a clear day you can look at the horizon in every direction and see the vanishing point and the curvature of the earth. Something to consider before visiting is that megalithic sites tend to be a bit underwhelming. Stonehenge may be the most accessible and most popular site and while it's decent it's also difficult to spend more than an hour walking around the stone circle. Megalithic sites seem to lack the "wow factor" of a Taj Mahal or Great Pyramid and are not as expansive as ancient communities like Petra or Machu Picchu. I thought Easter Island was interesting not outstanding. For additional Easter Island photos see FLICKR ALBUM.